Hurry - Only a few seats left! 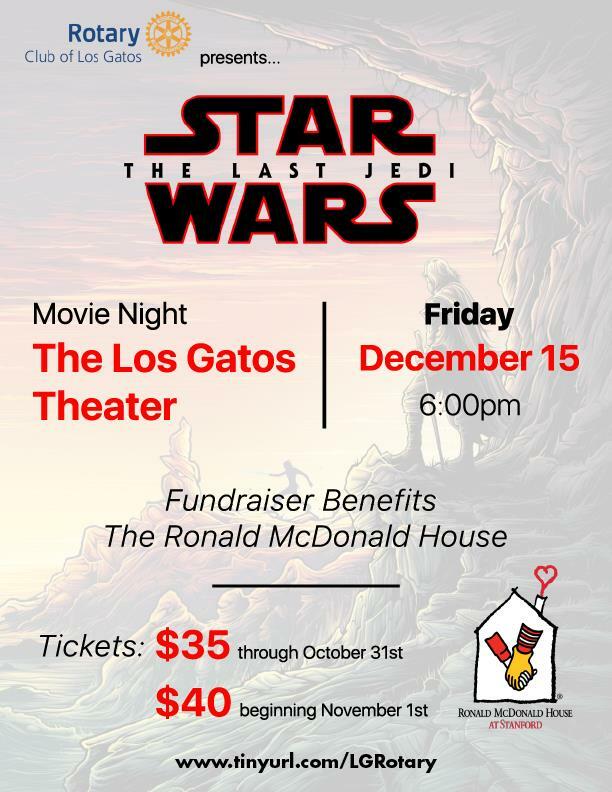 We are almost SOLD OUT 6pm Friday Dec. 15th for Star Wars the Last Jedi at Los Gatos Theatre. Our club bought every seat available in the main theatre room. Bring your family, co-workers, and friends! Join us from 4-6pm for a pre-dinner drink or appetizer at Gardinos Fresco, 51 N. Main Santa Cruz in Los Gatos. Proceeds will benefit the Ronald McDonald House at Stanford. They keep families with sick children together and near the care and resources they need.